So a few weeks ago, about 5 to be exact, I told you that I was participating in the RoC® Retinol Resolution. I used the RoC® RETINOL CORREXION® Deep Wrinkle Night Cream for a little over 5 weeks on my face and neck. 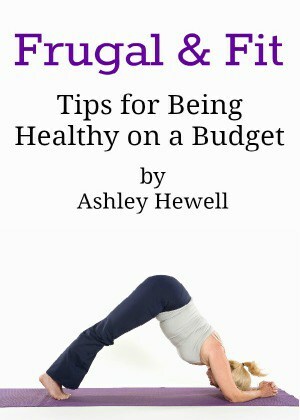 I am really pleased with the results and this is a resolution that will be very easy for me to keep. I used the product all over my face, including under my eyes, and all over my neck. I was a bit worried because the package said that your skin my have a burning sensation the first time you use it but I only felt a light tingling feeling the first couple of times that I used it on my face. I didn’t feel anything on my neck. I was also worried that I wouldn’t have enough product for the full 5-6 week period but I learned that a little bit of RoC® RETINOL CORREXION® Deep Wrinkle Night Cream goes a long way. I have plenty left and can probably get about 2-3 more months worth out of the package. 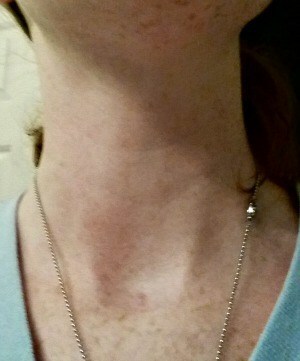 I will give you a few before and after photos so you can see the affect that it had on my skin. Warning: I am not wearing any makeup so look at your own risk. 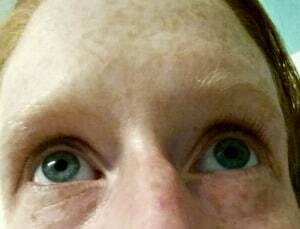 So, in the pictures above I was trying to show the wrinkle under my right eye. I think it has improved well and doesn’t look as deep. You can’t really tell in the before photo, but I did have a slight “worry line” on my forehead that I have seen a lot of improvement in. 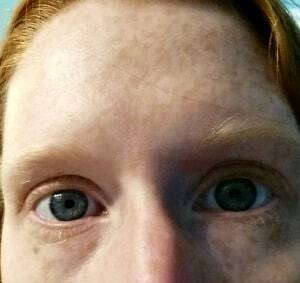 You can see it more when my eyebrows are pushed together. Another area that I saw some improvement in was around my eyes. 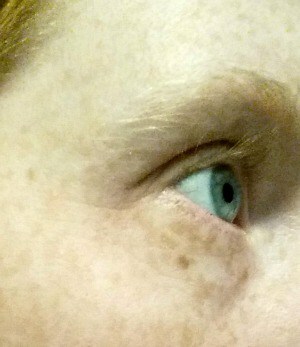 I have some crow’s feet and I think they have diminished really well since I started this new skin care regimen. 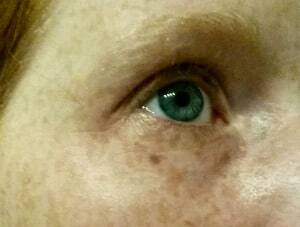 I have seen the most improvement around my eyes since that is were most of my wrinkles are. 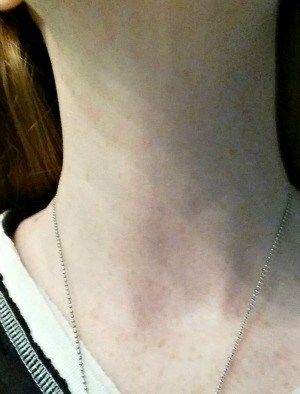 I have also seen improvement on my neck. I think that a lot of the lines look softer and my skin looks more firm and tight. I am pleased with the results, especially since it has only been 5 weeks. I plan to continue using RoC® RETINOL CORREXION® Deep Wrinkle Night Cream to see even better results. You can get started with the #RoCRetinolResolution now instead of waiting for the New Year. The sooner the better, I say. Resolve to turn heads this holiday season by using clinically proven RoC® RETINOL CORREXION® Deep Wrinkle Night Cream to visibly smooth wrinkles in just 4 weeks. You can see that it works! You can make your pledge and enter into a one-of-a-kind sweepstakes through November 30th. I am in love with this night cream and I highly recommend it. It is so important to take care of our skin any time, but especially during the cold winter months. I know that mine can use a little TLC. 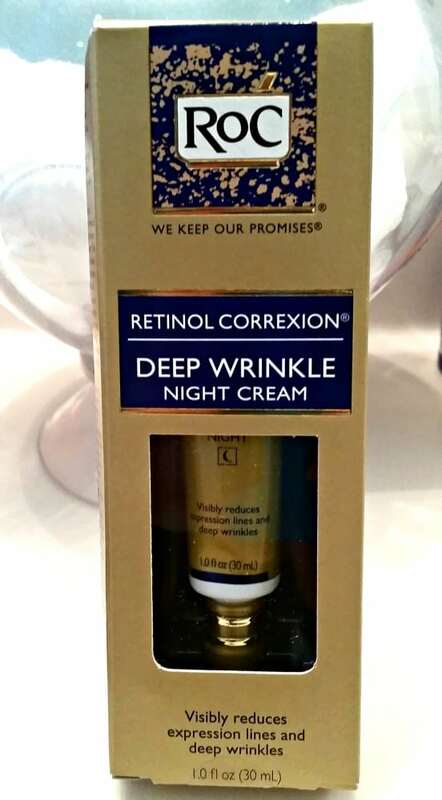 I love that the RoC® RETINOL CORREXION® Deep Wrinkle Night Cream is also very affordable. At around $15, it is definitely worth it. I can get at least a 3 months supply out of one package. Join me in getting fabulous skin this holiday season and into next year. Take the RoC® Retinol Resolution for yourself.